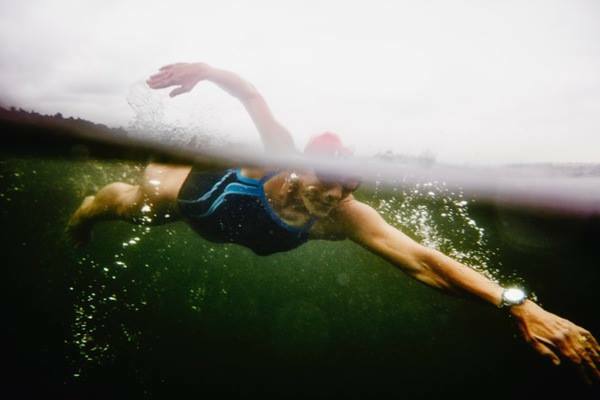 A panel discussion, hosted by Guila Muir on Women in the Open Water will be held tonight at the C & P Coffee Company at 5612 California Ave SW in Seattle, Washington. Muir explains, "Some amazing women swimmers in the Northwest made news and set records in 2016. Say Yes to Life Swims will host a forum to highlight their triumphant stories tonight from 7 - 9 pm. Join us for an incredible evening. It is free and open to all. This event is the first in a series of springtime educational offerings." The panelists include Wendy Van De Sompele (who circumnavigated Maury Island), Erika Norris (who swam from Bremerton to Seattle), Jessi Harewicz (who swam Canada's Georgia Strait and is shown above), and Melissa Kegler (who swam the Catalina Channel and is preparing to conquer the English Channel in 2017). For more information, visit here or Say Yes to Life Swims. The talk will be livestreamed free via Periscope here at www.periscope.tv/swimmingforjoy. A video of the panel discussion will also be posted on the Say Yes! Facebook page after the event.